A recent survey shows that 44% of people plan to never invest money in the stock market again. That decision is not the well-reasoned response of someone who has carefully evaluated the risk and reward ratio of investing. It is an emotional response born out of fear (“I don’t want to lose my money!! !”) and ignorance (“this stock market is a crock!”). If you’re truly risk-averse, you have other options to mitigate risk, such as investing in lower-risk investments or changing your contribution rates. However, this assumes you are rational and will “understand” the options. The truth, of course, is that discontinuing investments is anything but rational. I don’t only blame these people, by the way. Although we are responsible for our own actions, the financial education in this country has failed us. The investment strategy for the vast majority of individual investors should be passive, buy-and-hold investing. There’s no need to obsessively monitor investments or day-trade. I check my investments every 6-12 months as I have better things to do than micro-monitor these numbers. Target-date funds make sure your asset allocation is always age-appropriate with little/no effort from you. It is one of the finest automation strategies in life. If you’re curious how to set up an automatic investing plan — including which investing accounts I use and how I chose my asset allocation — pick up a copy of my book. This is why casinos make money. The owners know people don’t care about how much money they risk losing but only about how much money they might win if they ignore the truth. If people cared about the monetary risk of gambling they wouldn’t gamble because the odds are written right on the friggin’ machines! Those numbers don’t lie nor do the numbers used in determining stock market trends. Only people lie because they are the only ones who KNOW the truth. The numbers ARE the truth! The numbers represent “what is” or dare I say it, reality. The trends indicate what was and what will be to the best of our collective knowledge of the those numbers. The trends indicate that people don’t take risk into consideration when they gamble so there’s no motivation to lie to them. They put the odds right on the machines. The trends indicate that a portfolio with the appropriate asset allocation, taking into consideration risk tolerance, and the passage of time will generate more wealth than is required to be put into it. That’s the truth and if you have a clear goal in mind for what you want to happen to your money there’s actually no thought that has to go into it because the numbers don’t lie. Bernie Madoff lies. Glenn Beck lies. I lie. Ramit lies. We’re human and it’s not the mirrors responsibility to make us like what we see. – 35% of Americans over the age of 65 rely almost totally on Social Security alone. – 31% of workers have saved NOTHING for retirement. – Approximately half of all American workers have less than $2000 saved for retirement. – Only 17% of employees are on target to reach their retirement goals in terms of income replacement. It gets even worse when you hear recent survey results that say three out of four people will file to claim Social Security benefits as soon as they’re eligible at age 62. Taking benefits as soon as possible at age 62 locks in payments that are only 75 percent of what they would be at age 66, which is defined as the full retirement age for the current wave of retirees. Delaying benefits at age 66 will raise them by 8 percent a year until age 70, after which benefits do not increase with age. The solution isn’t to worry yourself sick about it, but instead start to take action. Start cutting your debt immediately, especially high interest debt (credit cards, etc.). Keep your living expenses in line so you can free up money every month that can be invested into assets that produce income. (Rich people buy assets that produce income – income properties, dividend stocks, businesses, etc.) You need to get the power of compound interest in place to begin generating long-term wealth. If your home is going to be your biggest expense when you near retirement, think about downsizing or even relocating to an area where the cost of living can work well with your financial situation. Taking a part-time job or freelancing as you are a proponent of to help alleviate some of your health insurance costs is a great idea as well. No one ever wants to worry about running out of money or being a financial burden to your kids when you can put a system in place now to prevent any potential struggles. If you take a look at dividend stocks, this is a great time to put your money to work as you are getting a chance to pick up great companies that have pulled back a bit. People tend to want to wait for any selling to stop. Scaling in is the best way to get exposure, especially if your gut tells you that we could be headed for a mini-correction. I expect investors who stay the course to be on the receiving end of some great returns over the next few decades. People have no concept of what ‘the stock market’ even is (that goes back to financial education in this country). To many people, it’s some nebulous pseudo-organization that steals your money. There are many high risk ways to invest in the stock market and there are many very low risk investments that can be made. For someone to say they will ‘never invest in the stock market’ is ridiculous, the question itself is designed to invoke an emotional response, not a rational one. If someone doesn’t know what the stock market is, then they shouldn’t invest in it. I don’t see what’s so unreasonable about that. I have plenty saved up and continue to save for retirement, but I put it all in a low-earning, guaranteed fund. I consider the employer match to be my earnings. I’m not gambling my savings on something that I don’t understand and that I’ve witnessed can be volatile and actually COST me the money I’ve worked so hard to save. I should clarify that I would never say “never,” and I plan to eventually learn how to invest in the stock market and do so. But not with my retirement savings. That money should be untouchable and guaranteed. I would only gamble with separate savings, for example saving up $1000 in a special savings account to be used for investments only. Much as I would only take a $20 bill into a casino. It’s how much I’m willing to lose. You have to be willing to lose the money you put into the stock market, that is the risk you take. The overall trends of the stock market weren’t much help to people who lost everything in the great depression or who lost large chunks in past recessions. As my old finance professor at NYU Stern used to say, if you put 1000 monkeys on pianos, one of them is bound to play the first 3 notes of Beethoven’s symphony. Great example of survivorship bias. You often hear about the 3 people who timed the market correctly and made millions, but rarely hear about the 300 who didn’t and lost. Great reminder. Agreed that it’s a pretty dumb idea to discount the stock market entirely. It points to a pretty profound lack of understanding of how the markets actually work. If japanese people followed your advice and money into the market for 26 years, they would have lost fortunes. Theres no guarantee that the US market is going to do the same for the next 26 years. * After being dumped by someone in high school/college, they will never date again. * After a fender bender, they cut up their drivers’ licenses, threw away their car keys and swore they would never drive again. * After anything whatsoever that caused them pain or loss or discomfort, they gave it up, and now can be found in the corner of a basement, sucking their thumb, wrapped in a blanket, and gently rocking back and forth, making disturbing cooing noises. Sad thing is no one lost anything until they sold it for less than they bought it for. I learned that lesson in 9th grade playing drug wars on my graphing calculator. Evan, most people with retirement accounts are invested in funds. They don’t have any control over holding or selling individual stocks. Someone else is doing that and most people have no idea who is doing it or why, or how. Comments such as this, based on bullying rather than kindness and reason, do nothing to assure people that the market is anything less than herd mentality. Many companies are trading far above valuations; nonsense being propped by the Feds. That Ramit is BS, sure you can make money but you have to put time and effert into stocks. yet no one that i talked to who worked for a living did, so when things happen like the always do they lost big or enough to make them hate the market. Investing period is a Game THAT you will Win and you Will loose just like you pointed out. “Sad thing is that no one told them about it and now they are in trouble…………. I have a friend when we first met 15 years ago swore he would never invest in the market because he had put a few grand into a stock out of college based on a broker’s advice and when the stock dropped he panicked and yanked it out. Now over the last couple of years he has had to deal with his mother’s finances since she’s suffering from Alzheimers and through that he saw how his father had invested and more importantly how those investments paid off for both a trust his dad had set up for him and various investments for the mother that she’s living on now. Over the last few years he’s been taking a lot of time educating himself and learning about the market and investments and he’s admitted if it wasn’t for his father, he and his mother wouldn’t have the means to assure she gets the treatment she needs and his future would be a bit bleaker financially. While I doubt he’d take any high risk investments on, he’s invested in the market now and is at least smart enough to take the time to learn about it rather than be scared of it. I’ll speak up for the rational minority who have (at least partially) withdrawn from the stock market. Although I still contribute to my 401k (can’t beat the instant return of matching funds), I have slowly withdrawn all non-retirement investments from the stock market over the last few years and have instead chosen to invest in direct ownership of rental real estate. My faith in the long-term passive return on stocks is tempered by energy and environmental concerns. Simply put, I believe the constraints of the backside of the peak oil curve will prevent continued expansion and growth of stock values. I have instead chosen to invest in small multi-unit properties in Portland (OR), where the rental market for landlords is strong, long-term prospects for livability are as good as anywhere in the nation, and I have direct control over my positioning and management of desirable properties. The question may be what did Prudential ask vs what survey participants heard. Perhaps they interpret “stock market” as owning individual stocks. A proportionate age grouping of survey takers (versus USA population breakdown) between 37 and 70 would put the median age north of 55. At that age, there is little there is little need to be invested in individual stocks. The survey is intended to drum up business for Prudential. I was wondering the same thing. Did respondents interpret the question to be about individual stocks (cf. indexed investing)? It makes me want to slap my forehead, since all my friends who are swearing to stuff their life savings in their mattress are in their late 20’s. I learned a lesson in life which is the fact that you can’t save everyone. It isn’t ignorant nor rude. You can only force people to learn, want, invest, etc up to a certain limit. If no one wants to learn or take a chance on anything, no matter how rationally, logically, emotionally, etc a situation is explained, then there is nothing more you can do. 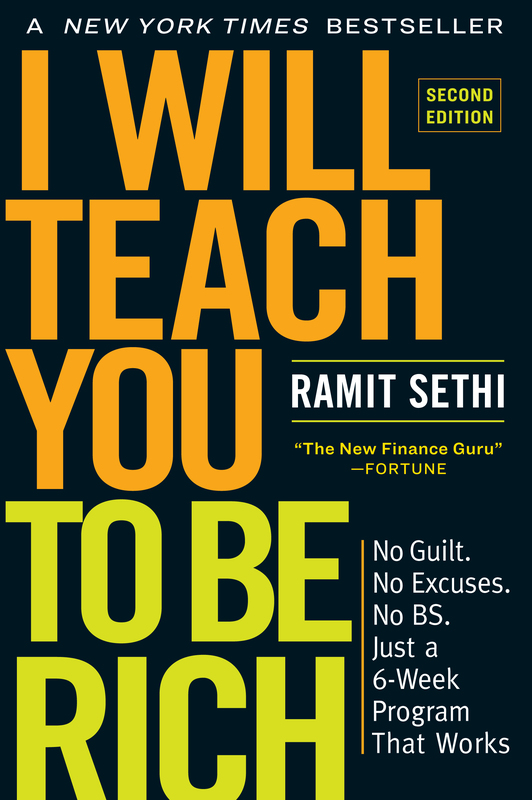 Ramit and a few commenters are aware of the lack of financial education for many people (which is true) but I recently became aware that most people do not want to learn and/or be responsible for their own decisions. This affects many aspects in people lives, and not just finances. I think the reason is due to a lack of self-esteem and/or self-worth. Thats my 2 cents and as I focus on my own self-worth, I learn more valuable lessons even if I fall flat on my face. Bit coins use a computationally infeasible algorithm to generate “tokens” which are then traded as currency. They get their value from agreed exchange, that is they are valuable because “we” all say they are. As soon as people say they’re not worthy anything (ie, refuse to exchange hard goods for them), then they’re no longer valuable. Also the value will plummet if someone cracks the algorithm for generating valid tokens.. But right now “miners” are finding them at a rate that is barely worth the electricity cost to find them. Why would one do it to himself? We have already lost a decade – with to gains on the stock market and the other one is ahead of us. What is the point of putting money in it? The problem is math education and our cultural attitudes toward math. Saving for retirement is a hybrid psychology and math problem. Compared to residents of other developed countries, Americans are particularly loath to think about math. This is silly, because the math’s not that hard, and the consequences are particularly disastrous. Ramit, because you aspire to rationality, you might want to look into research by the economists Ayres & Nalebuff. They argue that the most risk-averse among us might paradoxically want to increase our exposure to stocks when young, and we should especially avoid target-date retirement funds. You give advice that’s somewhat counter to their reasoning. Might want to look into it. Heh, I was just reminded of your “The problem’s not education!” stance. I disagree. Good math education means better intuition about different outcomes. It means that people would expect and not be surprised by major downturns. It means that they’d realize that in general, simply investing in bonds or TIPS isn’t going to be enough. The problem is that people are so unfamiliar with compounding and stochastic dynamics that any nonlinear, non-deterministic relationship becomes an excuse not to think. You’re the Boss: This Week in Small Business: Repeal the Tanning Tax! Investing in the stock market seems to be like gambling. However, the truth is… it is not. To gamble is to beat on probabilities, but to invest is to explore on these probabilities. There is a learning that is achieve overtime on investing. Moreover, success here is calculated, as we can calculate the risks. This Week in Small Business: Repeal the Tanning Tax! The arrogance of some of the comments in this thread are astounding. Many of you choose to invest in the stock market. Great for you. If that is something that you choose to do, then more power to you. However, if someone chooses not to follow your particular path, then great for them. If that person chooses to never invest in the stock market, there is nothing “wrong” with them. It simply means that person has made a different choice than the choice you made, and may invest their money elsewhere.